Series Plot-line: The members of The Midnight Society prepare to welcome a new kid to their circle in the woods, Frank, with Dave as his sponsor. His challenge in order to be accepted? Tell a scary story. Segment Plot-line: Two brothers, Denny and Buzz, get lost in the woods during a hiking trip. Because their parents must have never taught them not to talk to strangers, they follow a man named Flynn to the cottage of the strange Doctor Vink, a man obsessed with riddles. Unfortunately, Buzz can’t solve the riddle Dr. Vink asks of him. 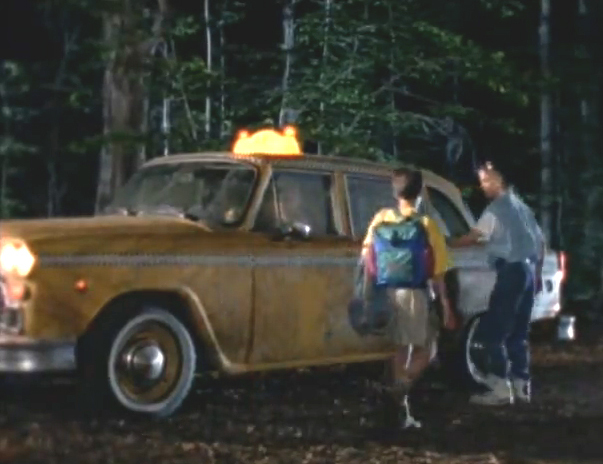 After running from Dr. Vink’s cabin, the brothers are picked up by a mysterious cab driven Flynn, who turns out to be a ghost, stuck in a curse due to Dr. Vink’s riddle. As the cab and the boys careen towards a tree, Buzz solves the riddle, breaking the curse and releasing the ghosts to rest in peace (supposedly). Scene of Awesomeness: We see one of the greatest TV intros for the first time. 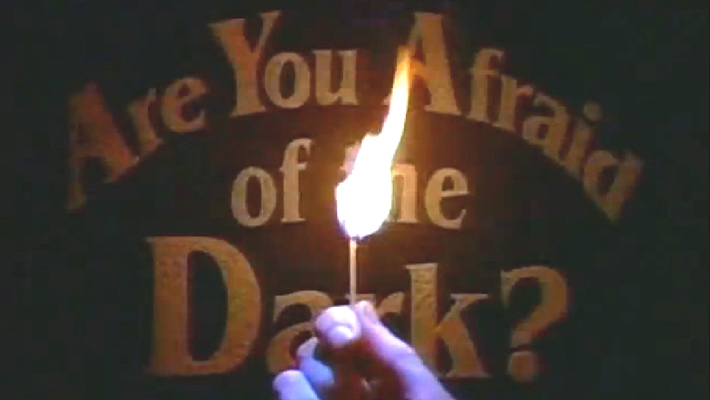 We also see the powder that blows up when thrown on a camp-fire for the first time, the staple of every story told on Are You Afraid of the Dark? Scene of Ridiculousness: The brothers see no problem with a guy in a leather jacket and a flipped-up hat leading them to a dilapidated cabin in the woods. Actors/Actresses of Note: No one well-known, but Buzz (played by Sean Ryan) had roles in the films In The Mouth of Madness and Puppet Master II. 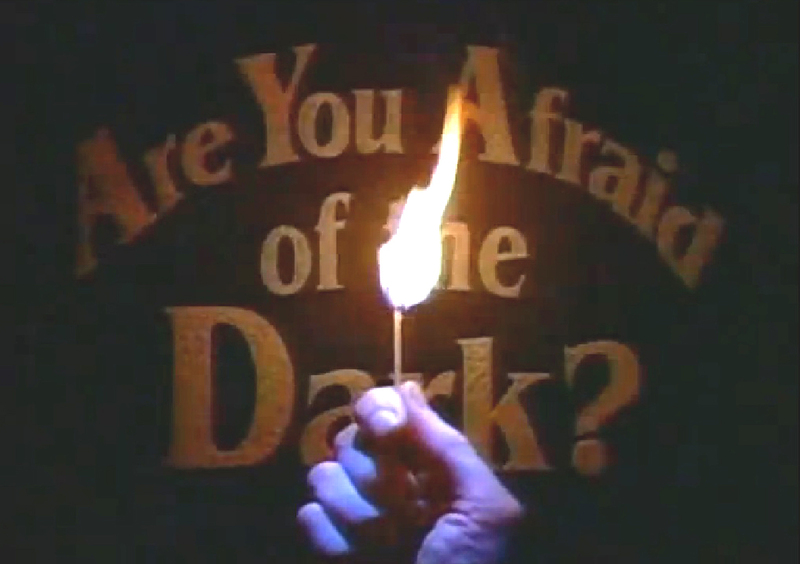 The production and writing clearly went into the show intro for Are You Afraid of the Dark? This left the launching story for the series to be a bit slow and muddled. Luckily, Frank is a new member of The Midnight Society. Maybe the veteran members have some better tales.